Yesterday the Sun came out with a very basic Preakness explainer. It’s a handy thing to read because most of us here in Baltimore pay attention to horse racing for about fifteen minutes out of the entire year before we go back to forgetting that it exists entirely. If you’re one of those folks who likes the national spotlight and the prestige of a large event but doesn’t know the first thing about horses, this post is for you. The Chop is part of a very small minority among Baltimoreans; people who actually go to the races on days other than the third Saturday in May. After several years and even a turn working on the backstretch we’ve learned how to be able to bet all day and not lose our shirt in the process. Now that it’s Triple Crown season if you’re entertaining some interest in horse racing but don’t really know much about wagering: follow the advice below. We’ve found that other betting advice articles you will come across online are severely lacking because all they really do is explain the different types of bets and are reluctant to treat their readers like idiots. We’re not going to waste time rehashing what’s already explained in the program. But the track is counting on a lot of dumb money flowing into the pools, so the ignorance of casual bettors is just fine with them. 1. Learn how to read the program. There’s a page right in front of the program that tells you how to read it, complete with a diagram. You should study this carefully. It takes a lot of practice to really make sense of a racing program, but if this is your first time ever seeing one a few things to look out for are the recent Beyer Speed figure numbers, the horse’s class rating, the amount of money the horse has won previously and the level of races in which it’s been running. 2. Decide which horses definitely WON’T win. You should not be betting long shots. Let us say that again: Do not bet long shots. If a horse’s odds are more than 20:1 he’s almost certainly not going to win, and if he does you’re not smart enough to have predicted it. Anything between 10:1 and 20:1 would be a very lucky guess, and if you’re new to the sport you’re not going to be able to handicap nearly well enough to nail a 15:1 horse even hitting the board. The odds on the average winner are about 5:2. With that in mind you should throw out any horse over 10:1 and choose among the remaining runners. 3. Bet the horse, not the price. So let’s say you’re looking at three horses in a race and trying to decide which one to bet. The one you like on paper had a 4-1 morning line but is posting up at 6:5 ten minutes before the race. You were excited about getting 4:1 on a horse you think is going to come through but 6:5 seems like a lot of risk for very little reward and you think you might go for that other runner who’s now 3:1. Don’t do that! Whatever the prices on the board are you have to bet on the horse you think is going to win. If the risk/reward isn’t good enough you should probably look at changing your bet type or amount. 4. Don’t discount Place and Show bets. Personally we like to bet horses across the board if they’re going off better than 2:1. If you’re picking a horse to win you’ve got to be really far off your guess to see it run fourth or worse. Sure, a $2 show bet pays virtually nothing, but you’re an amateur and just learning the game. 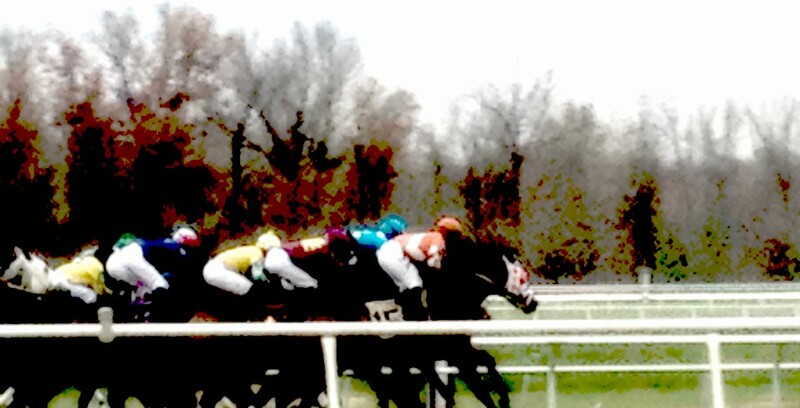 A straight show bet makes the race interesting and is pretty tough to lose if you’re betting a good horse. Go as high as $10 on one if the horse consistently runs in the money. 5. Stay the hell away from exotic bets. You’re a beginner who just learned how to read a form, right? Why the hell would you think you’re clever enough to pick a trifecta? You’re not. And if you start trying to hedge by boxing horses you’re going to end up wagering a lot more than you even realize. Pick one horse per race. Preferably the winning one. 6. That being said, learn what a Key is. 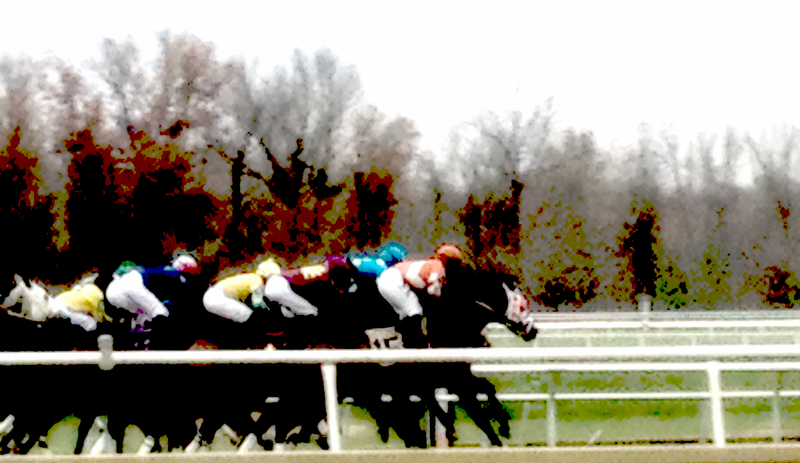 If the horse you want to bet is going off at 2:5 a good bet is probably an exacta key. That horse “with/” two or three others you think might run second. But only 2-3, not every horse in the field. 7. Consider the daily doubles and pick threes. If you’re torn between two horses in race five take one to win and the other in the first half of a daily double for $1. If the one you picked in the double comes in, bet nothing else on the sixth race and see if your double comes up. 8. Listen to the track handicappers. Race winners are almost always one of the four horses listed in the ‘Program Selections.’ Usually the track handicapper is going to pick one of these horses, probably the first or second. They’ll tell you why too. You’re free to disagree, of course, but the handicapper knows a hell of a lot more about horses than you do and you’re not smart enough to completely ignore free advice. 9. Look at the actual horse before you bet the race whether it’s in the paddock or parading on the track. If you’re just learning how to bet you’re probably not a very good judge of horseflesh but at the very least make sure the horse looks calm and relaxed before the race. Skittishness is usually not a good sign. 10. Look at the groom who’s escorting the horse to and around the paddock. The groom is the person who the trainer has hired to spend the most time around a horse every day of its life. Does the groom look like a professional horseman who showed up well dressed counting on being in a winners circle photo? Or does he look like a goddamned itinerant junkie who sleeps above the barns and cuts out of morning workouts for a trip to the methadone clinic? Hiring and retaining a professional groom is a good indicator that the trainer is running a class operation from top to bottom and is running to win, not just running to run. This entry was posted in Lifestyle and tagged amateurs, Baltimore, beginners, Betting, betting tips, Gambling, gambling tips, handicapping, Horse racing, Horses, How to bet horses, Kentucky Derby, Maryland, novices, peri-mutuel, Pimlico, Preakness, thoroughbreds, Triple Crown. Bookmark the permalink.